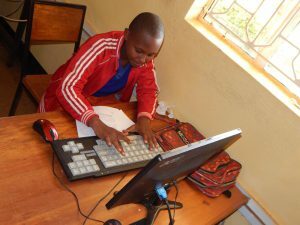 Veronica Boniface and her Welwel classmates are now engaging with Shule Direct learning tools across 14 subjects, augmenting the classroom materials (view content here). The students access this newly installed digital content on Raspberry Pi computers powered by solar panels, part of the Powering Potential SPARC+ program. The Shule Direct study tools expand on the RACHEL offline digital educational content, which includes Khan Academy videos, Wikipedia articles, coding programs and many other resources. The Potential Enhancement Foundation (PEF) – Powering Potential’s sister organization in Tanzania – completed implementation over a three-day period in February. The PEF team also provides on-site assistance and troubleshooting to ensure the effective operation of these solar-powered computer systems. In addition, the team conducts extracurricular training to help Welwel students explore the technology. This is the impact of Powering Potential – nurturing students’ natural curiosity and passion to grow through access to computers and rich digital educational materials.